Modern Awareness Building through Nudging, Gamification & Co: Why is Psychology So Important in Cyber ​​Security? How do employees become the human firewall of a company? Dr. Niklas Hellemann from Cologne-based SoSafe GmbH presented current findings from cognitive psychology and learning theory and their implications for modern security awareness programs – mixed with lively anecdotes and application tips from practice as well as data stories from their own phishing simulation projects for various types of companies. So let us recap some of his findings. 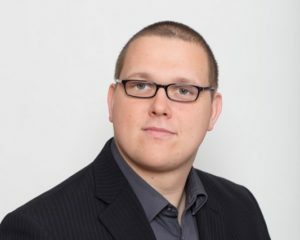 Dr. Niklas Hellemann is a certified psychologist, long-term management consultant and CEO of SoSafe Cyber ​​Security Awareness. As an expert in social engineering, he deals with innovative methods of employee awareness. 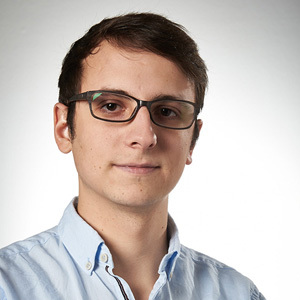 SoSafe is a young Start-Up, founded in Cologne. Together with Lukas Schaefer and Felix Schuerholz the Team consist of 20+ people from different domains such as CyberSec, Sofware Dev, Design, Marketing and Engineering. Cybercriminality became a business, phishing quickly took the throne of the most common threats. Small costs but potentially high revenue is what Cybercriminals can expect. According to data from Proofpoint and Forbes 91 Percent of all threats start with a phishing mail, causing damage up to 3 million Euro in 2018. Especially small-mid organizations with an underdeveloped security posture are preferred targets. 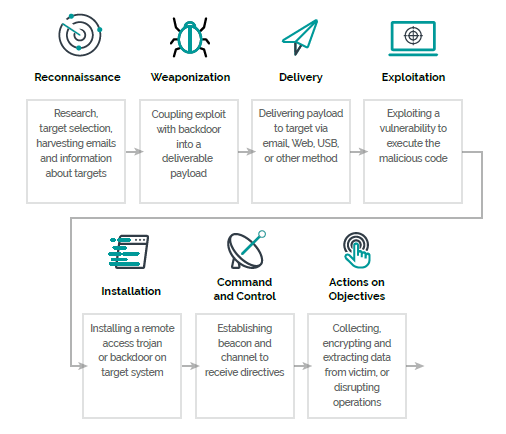 Cybercriminals don`t aim for the technical solutions like exploits, as the Service as a Service market grew larger, sophisticated phishing campaigns can be build with less resources. These Mails cannot be recognized from spam filters and will find their way to a user. Regular Security Awareness campaigns like on-site lectures are time consuming, not flexible and hard to apply to all employees. Communication-campaigns via mail are doomed to stay unread and won´t last in the minds. Next generation security awareness focuses not only on creating awareness but on changing the habits. SoSafe has identified 3 Ways to change habits. Incidential Learning, Nudging and Gamification. The first is learning through immediate Feedback, Nudges are small “hints” in your daily life that could make you, change your decision (like having fruits in eye sight, when you enter your kitchen). Through gamification will start seeing awareness as a contest, maybe through placing QR Badges at stair-houses. In one of their interactions, the customers employees probability to click on a mail, has doubled when the supervisor is the sender. “Loose lips save ships!” – People who don´t work remote are less likely to click on a mail. The communication between the desks is key. Thank you Dr. Niklas Hellemann for your talk and showing us this side of Cyber Security. thank you all for your participation at the Modern Secure Workplace Summit. Special thanks to our Speakers: David James, Mirko Colemberg, Kenny Buntinx, Oliver Kieselbach and Eric Soldierer. We are definetly enriched with their outstanding knowledge end expertise. Deep insiders to current and upcoming Configuration Manager releases, News from the Microsoft Ignite, Beer Brewing and the role of Modern Management. Now we all have the Big Picture of Modern Secure Workplaces, right?! Identities are an crucial part in modern attack scenarios and impersonate identities is one of the main goals for an attacker. In the first part of this meetup we will guide you through the basics of building an Active Directory, where we explain roles and services. In the 2nd part we then talk about, how an attacker can start his lateral movement with compromised accounts, using pass the hash attacks and golden tickets, to reach their end game goals and getting persistence in the companies network. In the 3rd part we’ll than discuss the latest and greatest in identity protection where we introduce you to solutions like Microsoft Advanced Threat Analytics and Azure Advanced Threat Protection – which are the enterprise solutions in Microsoft portfolio to protect, detect and respond to cyber attacks focused on identities. 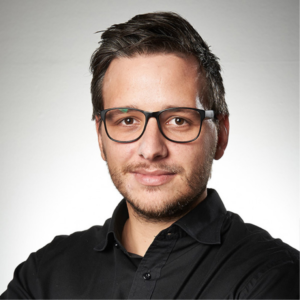 Thomas works as an IT-Security Consultant at sepago GmbH since 2012 with a wide experience from configuring and securing Active Directory to migrating customers to Office 365. As customers awareness for detecting compromised identities is growing, Thomas has focused on helping customers to deploy Microsofts Adavanced Threat Analytics and Azure Advanced Threat Protection for identity protection. 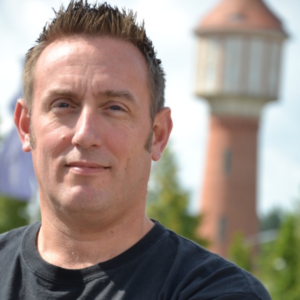 When Sven joined sepago GmbH his first task was to learn everything about Active Directory Domain Services and their features. Quickly, he built up experience in how to manage, deploy and protect an Active Directory. what an amazing experience we had with Kali Linux. 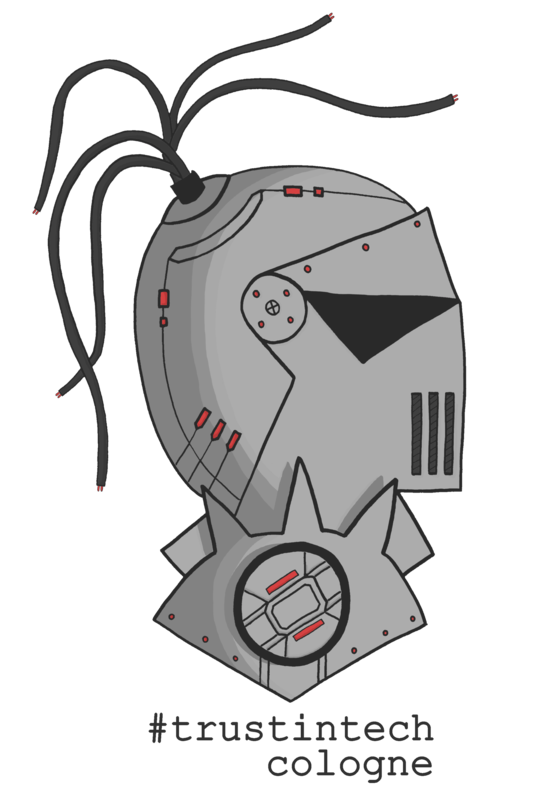 Thanks to everyone who participated, we now have a overview of how cyber attacks work. We got to know Kali Linux as the main tool for Hackers. Our Speakers gave you a guided tour of a cyber attack along the Cyber Security Kill Chain. Thank you so much! Before it goes into the well-deserved time-out, here’s again our small call for action: Take our spirit into the world and tell your friends and colleagues about it. Maybe you even feel like acting as a speaker or know someone who wants to introduce us to his topics. Are there any topics that matter to you? Let us have your wishes. See you next time and all the best! Before it goes into the well-deserved time-out, here’s a small call for action: Take our spirit into the world and tell your friends and colleagues about it. Maybe you even feel like acting as a speaker or know someone who wants to introduce us to his topics. Are there any topics that matter to you? Let us have your wishes. Bevor es in die wohlverdiente Auszeit geht, hier noch ein kleiner Aufruf: Tragt unseren Spirit in die Welt und erzählt euren Freunden und Kollegen davon. Vielleicht habt ihr sogar Lust selbst als Speaker aufzutreten oder kennt Jemanden, der uns seine Themen vorstellen möchte. Gibt es Themen die euch am Herzen liegen? Lasst uns eure Wünsche zukommen. Bis zum nächsten Mal und alles Gute! Join us for our next event at May, 8th 2018 at sepago headquarter in cologne. David is a Premier Field Engineer at Microsoft Germany. His specialties are Dev, Powershell and Windows 10 Client and he is focused in client workshops and dev requests. Beside his work he writes his own blog and speaks at conferences on PS/Dev topics. PowerShell Security is a very wide topic. Starting with Signing, Logging, WEF, Remoting, Privileged Access Management moving on to enforced Constrained Language Mode, AMSI, JEA, Exploit Guard and much more. But where to start and where to end? David will explain how the complex technology map can be divided into a prioritization list (adoption roadmap) by using a graph. In this session you will see how this graph is created and how we can retrieve many insights out of it. In this session we will have a look into the integration of Azure Automation in your Cloud and On-Premises environments. We will focus on actual features and have a look at some new ideas in Azure. At the same time it is important to think about securing your Azure Automation environment, while keeping it simple but secure. The session is driven by some live demos of Best Practices and things that could go wrong. Hasain Alshakarti is a world leading IT security expert with a strong focus on networks, PKI and certificates. He’s a senior IT security consultant at TrueSec with deep experience of numerous design projects, audits as well as advanced implementation projects and penetration testing of systems. 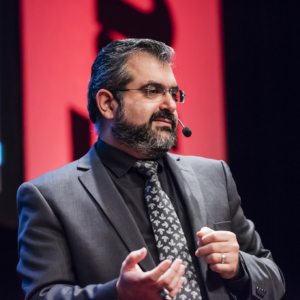 For his hard, solid achievements over the years, Hasain has been rewarded “Sweden’s leading IT security expert” and Microsoft Most Valuable Professional(MVP) in Enterprise security multiple times. He is a sought-after speaker and extremely popular instructor at various events worldwide. Hasain is also an active member of Microsoft Extended Experts Team(MEET) and one of the few that successfully combines his expertise in application development and IT technology. 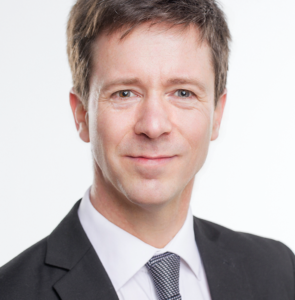 Alexander Benoit is a Senior Consultant and Head of Competence Center Microsoft at sepago, where he leads and develops the consulting business with his team. His focus is on enterprise security and modern management for 10 years. He brings his everyday experience from the enterprise environment into the community actively. He is also MVP for Enterprise Mobility the Community Lead of “Trust in Tech” and the host of GeekSprech Podcast. Stephan Gerling is a 48 year old electronic technican, who works in the oil and gas industry more than 17 years. Before that, he joined the german army for more than 6 years as Navigation electronical expert for Helicopters. During this time, he was in several missions across the world. Electronical and mechanical background is his force to look from both sides on security. And last but not least, he his a volunteer firefighter more than 30 Years. He knows to be “under fire”. Creating innovative products is in the DNA of everyone at Ziften, and purpose building the future of endpoint security drives Chief Product Officer Mike Hamilton. 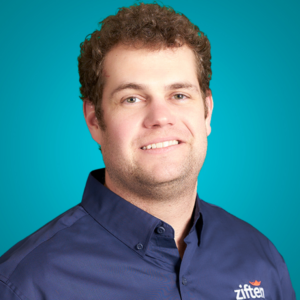 When Mike isn’t getting his hands dirty with customers or speaking at conferences, Mike spends his days at Ziften shaping and guiding the overall product strategy and vision of Ziften. 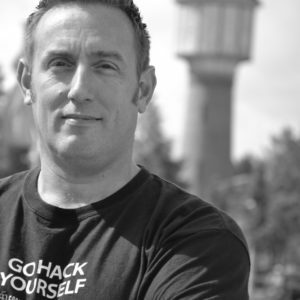 As a former ASIC designer in the network processor space, he has 15 years of security experience from bits and bytes on a wire all the way to security analytics and endpoint/server security. Christina Lekati is a Social Engineering expert and ethical human hacker. Raised by a sought-after cyber security expert, she found herself magnetized by the security field and many times found herself in projects that were beyond her age, giving her interesting stories to tell and an edge in her own knowledge and experience. She proceeded in earning a bachelor’s degree in psychology and a distinction in her master’s degree, due to her thesis on social engineering. Christina has participated among other things, in forensic investigations within companies, and in needs and vulnerabilities assessments. She is currently working with Cyber Risk GmbH, a provider of cyber security training programs, as a social engineering expert and trainer. Christina also enjoys speaking at cyber security events. Cyber-attackers target accounts and other elements of privileged access to rapidly gain access to targeted data and systems using credential theft and reuse attacks like token manipulation, Pass-the-Hash and Pass-the-Ticket. Traditional security approaches have focused on using the organizations network as the primary security perimeter, but the network security is often bypassed especially when data and resources are hosted outside the traditional network boundary or when the adversaries obtains access on workstations inside the network boundary through phishing and other attacks. Using examples from incidents, attacks and red team assignments to demonstrate the importance of governing privileged access and how it minimizes your organization’s attack surface and thwart in-progress attacks. DIY – Cybersecurity Detection and Response Today’s biggest challenge is that many organizations are not capable of detecting security breaches and are not able to properly respond to attacks. The major failure noted when investigating a breach is the gap between the speed of compromise and the speed of detection. IT security needs to shift from prevention and protection to investing in capabilities that can detect a threat when it occurs. Responders must be able to act quickly while investigating a threat and the potential business impact of the breach. Using insights from numerous incident cases we walk you through a sample attack to showcase the importance of good detection and response capabilities. The new era of endpoint security. Why you should at least build showcases to detect, analyse and react to cyber-attacks now! Cyber Security & Defense is the emerging topic of the IT industry these days. A secure environment is no longer just a well-maintained firewall or a well-managed network. Rather, it is made up of several layers. However, most companies are „reactive“ instead of „proactive“, or neither, when it comes to securing their IT environments and detecting security breaches. In addition to this, the product portfolio and the security market is changing rapidly, and these changes make our jobs as IT Professionals significantly more difficult. But how can we deal with this challenge? In my session I will take a look into supposed “obvious“ security threats and how the Microsoft Cybersecurity stack can help to detect attackers and threats that have evaded our defenses. Today i want to Talk about some time on physical security and pitfalls. and that the proper selection of a transponder type should be in focus. Once in, we learn about things that could happen inside a building and what counter measures we could implement. So often the fact that Windows has such a large market share of the desktop/laptop market renders Linux and Mac as the Lost Boys in the world of security. The session will focus on how neglecting Linux and Mac systems in your environment can radically affect your overall security posture. We’ll cover quite a few real-world scenarios to highlight the importance of ensuring full and total coverage of endpoints, servers and cloud infrastructure, regardless of operating system. In today’s world, online presence is important. Social networking profiles can create a competitive advantage for many organizations and individuals. Despite the benefits, a strong online presence can also become a vulnerability. 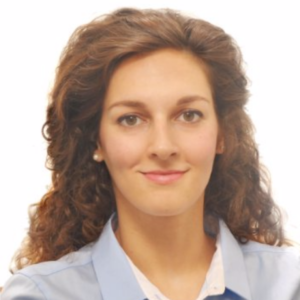 Christina Lekati, a social engineering expert, will explain how the online presence of a company’s employees on social media can attract social engineers to target them, and then use them as “open doors” through the organizational security. The talk will cover the topic of information gathering through social media (information gathering is the most common denominator in every social engineering attack) and explain how even seemingly innocent information can be exploited and used to manipulate targets. The talk includes a two-part demonstration on how a hacker’s mind works when harvesting information on social media; The first part includes real examples of posts that expose vulnerabilities, attract attackers and ultimately lead to security breaches. The second part includes a demonstration on how the information one provides online are gathered, categorized, analyzed and then used to craft an attack, as well as how one ends up revealing online more than one intends to. The talk closes with practical recommendations and best practices. Keep in mind, that the purpose on this talk is not to turn people away from using online platforms but rather, to teach them how to use them responsibly. In security, training and awareness can be the catalytic factor between a successful or an unsuccessful attack attempt. bevor es für jeden von euch wieder richtig los geht, möchten wir die Möglichkeit nicht verpassen euch einen guten Start ins neue Jahr zu wünschen. Wir hoffen ihr seid alle gut rein gekommen und der Alltagsstress hat euch noch nicht wieder. Das nächste Meetup steht vor der Tür und dieses Mal ist es uns gelungen Jochen Nickel als Sprecher gewinnen zu können. Dabei legen wir den Fokus auf die General Data Protection Regulation, die in diesen Tagen in aller Munde ist. Dabei wird Jochen zusätzlich den Microsoft Produkt Stack vereinen. 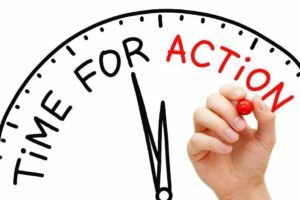 Start your GDPR preparation’s now! Im Mai 2018 wird die General Data Protection Regulation (GDPR) aktiv. Diese wird die bisher gültigen Regeln der EU aus dem Jahr 1995 ersetzen. Eines der Hauptziele dieser Verordnung ist es, den Schutz personenbezogener Daten zu verbessern. Organisationen müssen wesentliche Änderungen vornehmen, um diese Vorschriften zu erfüllen. Dieser Vortrag zeigt ein Vier-Schritte-Programm, um Ihnen als Administrator oder Berater die notwendigen Informationen zur Verfügung zu stellen, die Sie auf Ihrer Reise zur erfolgreichen GDPR-Einhaltung direkt anwenden können. Wir zeigen Ihnen in praktischen Konfigurationen und Demos mit GDPR konform zu werden. Control your data with Azure Information Protection, Office 365 DLP and Cloud App Security! Mit der digitalen Transformation, die Organisationen durchlaufen, wandern die Daten an mehr Standorte als je zuvor, wodurch die Produktivität der Benutzer und die Fähigkeit, auf Daten zuzugreifen und mit anderen zusammenzuarbeiten steigt. In diesem Vortrag zeigen wir Ihnen, wie Datenklassifizierung und -schutz Ihnen helfen kann, mehr Kontrolle über Ihre sensiblen Daten zu erhalten. Sie erhalten Einblicke, wie die Sichtbarkeit im Informationsaustausch erhöht werden kann und Richtlinien zur Steuerung Ihrer Szenarios für den Informationsaustausch angewendet werden können. Im Detail erfahren Sie aus unserer Projekterfahrung, wie Azure Information Protection und Cloud App Security funktionieren und wie Sie erfolgreiche Szenarien einrichten können. Wir werden mehrere Anwendungsfälle aus der Administrativen und Benutzer-Perspektive bereitstellen, um Ihnen die Möglichkeiten der Umsetzung und Kombination dieser Technologien für einen Kunden oder Ihr Unternehmen aufzuzeigen. 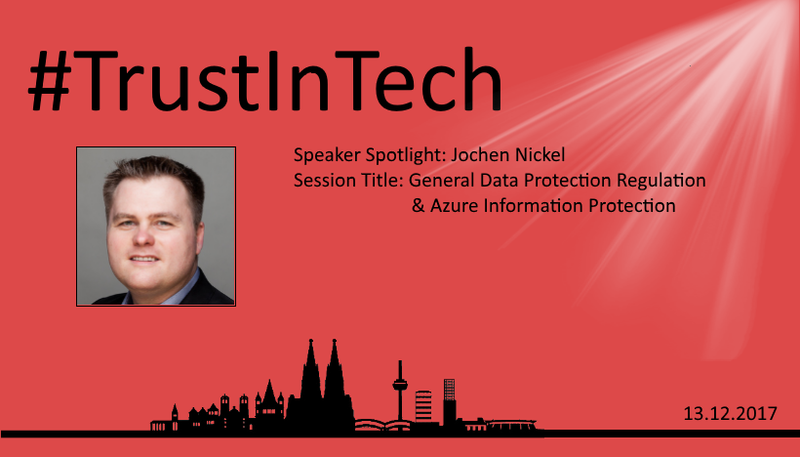 Jochen Nickel is a Cloud, Identity and Access Management Solution Architect with a focus and technical deep knowledge of Identity and Access Management. 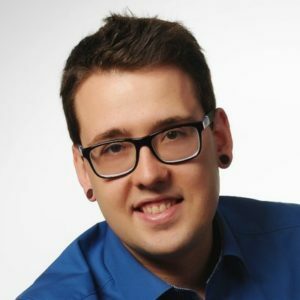 He is currently working for inovit GmbH in Switzerland and spends the majority of each work day planning, designing, and implementing Identity and Access Management solutions, single parts such as Microsoft Azure Active Directory Premium and Microsoft Azure Information Protection, Cloud App Security or complete Enterprise Mobility Suite solutions. He has also been part of many projects, proofs of concepts, reviews, reference architectures, and workshops in this field of technology. 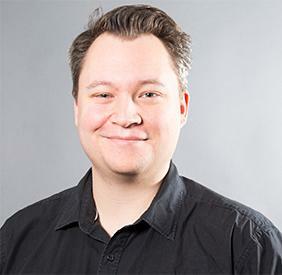 Furthermore, he is a Microsoft Technology Ambassaador, Identity and Access Management, Microsoft Switzerland, and uses his experience for directly managed business accounts in Switzerland. He has also been an established speaker at many technology conferences like ExpertsLive Switzerland and Europe. As an active writer and reviewer, Jochen authored Mastering Identity and Access Management with Microsoft Azure, Learning Microsoft Windows Server 2012 Dynamic Access Control and reviewed Windows Server 2012 Unified Remote Access Planning and Deployment by Erez Ben-Ari and Bala Natarajan, as well as Windows Server 2012 R2 Administrator Cookbook by Jordan Krause, a Microsoft MVP and the Microsoft Identity Manager 2016 Handbook by Jeff Ingalls and David Steadman for Packt Publishing. Committed to continuous learning, he holds Microsoft certifications such as MCSD Azure Solutions Architect, MCITP, MCSE/A Office 365/Private Cloud, MCTS, and many other security titles such as Certified Information Systems Auditor (CISA). He enjoys spending as much time as possible with his family to recharge, in order to handle such interesting technologies. Das Event findet dieses Mal bei sepago statt. Es gibt ausreichend Parkplätze und die Veranstaltung ist barrierefrei. ist Microsoft MVP für Cloud und Datacenter Management und arbeitet als IT-Architekt bei der COMPAREX AG. Seine Schwerpunkte liegen hierbei in folgenden Bereichen: Infrastruktur, Windows Server und Client Management, Hyper-V, System Center und Microsoft Azure. Eric ist aktiver Speaker auf diversen technischen Events und Communities, darunter beispielsweise die Microsoft Ignite 2016. Zudem ist Eric Microsoft P-TSP (Partner Technology Solutions Professional) und arbeitet eng mit den Kollegen von Microsoft zusammen. Sein Motto lautet: “Die Community lebt von der Community und nur wer mitmacht hält sie am Leben! ist seit 1983 mit dem Computervirus infiziert. Seit jeher fasziniert ihn die IT-Sicherheit in ihren verschiedenen Facetten. Zwischendurch machte er einige Abstecher über die Elektrik in die Elektronik und hat schließlich bei der Bundeswehr Navigationssysteme für Helicopter instandgesetzt. Heute stehen für ihn Computer-Forensik, Penetration Tests und Awareness-Maßnahmen auf dem Programm. Das heißt im Speziellen Hacker-Angriffe und ihre Schutzmaßnahmen. Dabei ergänzen sich die Erfahrungen aus der physikalischen und der virtuellen Welt. Derzeit ist er seit mehr als einer Dekade bei einem weltweit operierenden Unternehmen in Lingen als IT-Sicherheitsexperte beschäftigt. In der IT-Sicherheitsszene ist er schon lange kein Unbekannter und tummelt sich seit Jahren auf diversen “Hacker-Konferenzen“. hat eine tiefe Historie in Netwerktechnik und Pentester und arbeitet als Security Consultant bei neam IT Services. Seine heutigen Schwerpunktthemen hat er in den Bereichen Pentesting für Internet/Intranet, Web und Social Engineering. ist spezialisiert auf die Bereiche IT-Sicherheit, Hochverfügbarkeit und Virtualisierung. In den letzten 15 Jahren hat er in diesen Fachbereichen zahlreiche Publikationen verfasst sowie Projekte und Lösungen erarbeitet. Er arbeitet als Leiter der IT bei der Vitos Haina gemeinnützige GmbH.